Description : Cadre en bois. Hauteur : 30 cm. Largeur : 23 cm. Prix : 1st Place. 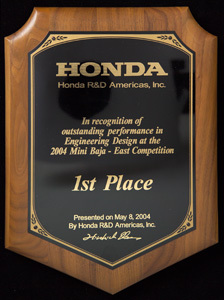 In recognition of outstanding performance in Engineering Design.